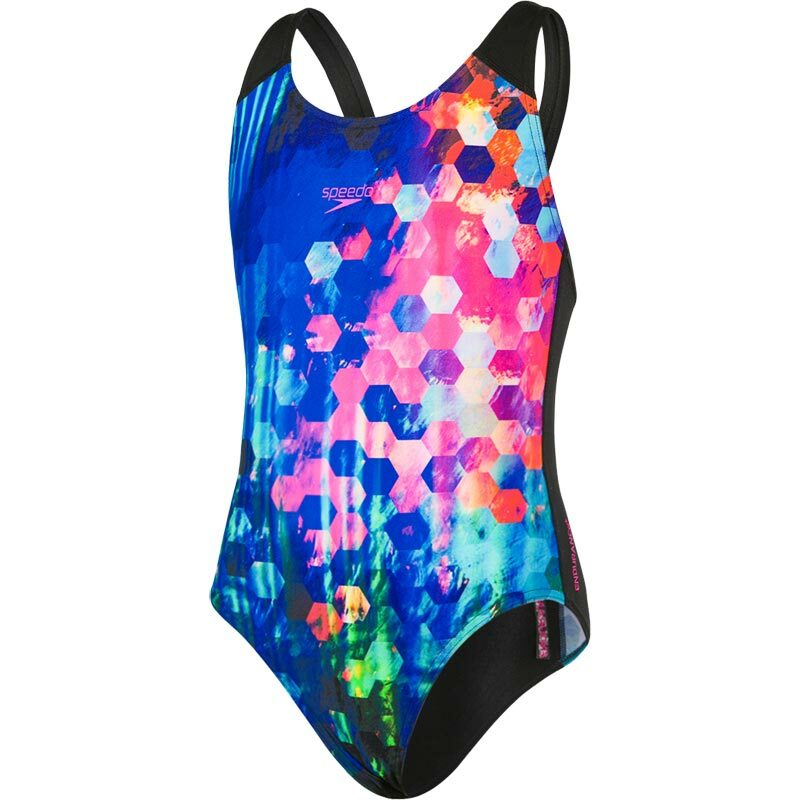 This colourful splashback Speedo ® Girls Placement Digital Swimsuit is guaranteed to turn heads on race day thanks to it's unique digital print design. High stretch fabric and a splashback style enables young athletes to reach and tumble in comfort, while the 100% chlorine-resistant Endurance+ technology offers superb durability. Splashback design means straps are set away from the shoulders allowing for increased freedom of movement in the water. The digital print offers a colourful, defined design. 100% Chlorine resistance for long lasting performance. Quick drying fabric means the suit dries quicker after each swim. Our girls' swimwear sizing is based on chest measurement, and we have also included an appropriate age range, to make it easier to find the right size for your child. Please note that if you child is tall for her age you may need to buy the size relevant to her height as going by her chest measurement the suit would be too small.